David Daniels is known for his superlative artistry, magnetic stage presence and a voice of singular warmth and surpassing beauty, which have helped him redefine his voice category for the modern public. The American countertenor has appeared with the world's major opera companies and on its main concert and recital stages. He made history as the first countertenor to give a solo recital in the main auditorium of Carnegie Hall. The Chicago Tribune has called Daniels "today's gold standard among countertenors." Gramophone magazine acknowledged his contribution to recorded excellence as well as his expansion of the repertoire for his voice type by naming him one of the "Top Ten Trailblazers" in classical music today. The 2014 – 2015 season will see David Daniels in the title role of Theodore Morrison's Oscar, based on the life of Oscar Wilde, in a company debut and East coast premiere with Opera Philadelphia. Daniels will also make his company debut with the Wiener Staatsoper in the Robert Lepage production of The Tempest as Trinculo, conducted by the composer, Thomas Adès. He will also return to San Francisco Opera to sing the role of Arsace in Paretenope, directed by Chrisopher Alden. Concert performances include the Bach Mass in B Minor with the American Classical Orchestra at Alice Tully Hall, Handel's Messiah with the University Musical Society in Ann Arbor, and an gala performance with soprano Laura Claycomb and Mercury Houston. Additional appearances include a recital with Martin Katz at the Converse College with the Friends of Petrie School of Music in his home town of Spartanburg, SC. 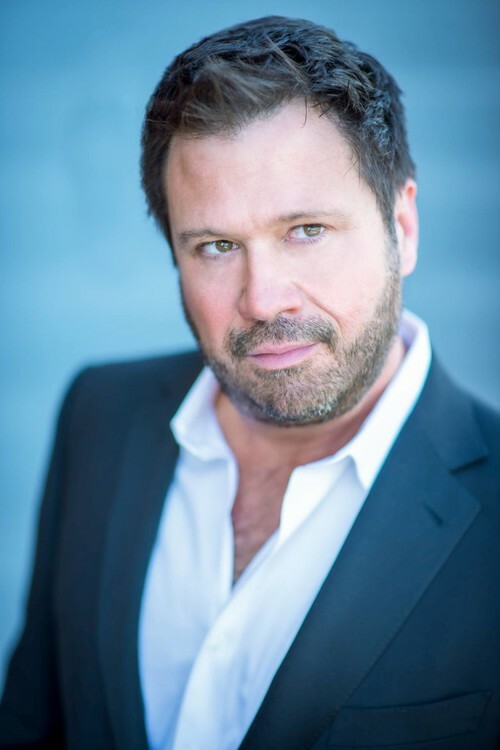 David Daniels' 2013 – 2014 season was highlighted by a return to a role he originated at The Metropolitan Opera: Prospero in The Enchanted Island opposite Susan Graham and Plácido Domingo. Daniels also sang Lichas in the Peter Sellars production of Hercules with the Canadian Opera Company under the baton of Harry Bicket, opposite Alice Coote and Eric Owens. With Gran Teatre del Liceu, Daniels sang Ottone in David McVicar's production of Agrippina and with The English Concert he sang Didymus in Handel's rarely heard Theodora, opposite longtime colleague Dorothea Röschmann, in an international concert tour culminating with a performance at Carnegie Hall. Concert engagements included Pergolesi's Stabat Mater with conductor Nicholas McGegan and the Philharmonia Baroque Orchestra. Recital engagements include appearances with Collaborative Arts Institute of Chicago, the Pushkin Museum in Moscow, Teatro de la Zarzuela in Madrid, as well as a special guest appearance at Marilyn Horne's 80th Birthday Song Celebration alongside Renée Fleming, Samuel Ramey, and Frederica von Stade, among others. Other highlights included the title role of Radamisto at Theatre an der Wien as well as an international concert tour of the same opera with The English Concert under the direction of Harry Bicket which included performances in Paris, Birmingham Town, London, Toulouse, Ann Arbor, and culminated with a performance at Carnegie Hall. Highly sought after for the works of Handel, Monteverdi, Gluck, Mozart and Britten, David Daniels has been featured on the great operatic stages of the world to overwhelming critical acclaim. Highlights of recent seasons include multiple appearances at the Metropolitan Opera as the title role of Giulio Cesare in David McVicar's inventive production, Prospero in the Baroque pastiche The Enchanted Island, and in the title role of Gluck's Orfeo ed Euridice in a new production marking Mark Morris' debut at the Met as a stage director and conducted by music director James Levine. Appearances at the Lyric Opera of Chicago include the title role in Handel's Rinaldo, Oberon in Britten's A Midsummer Night's Dream, and Lichas in Peter Sellars new production of Handel's Hercules. Additional appearances include Arsamenes in Handel's Xerxes and Bertarido in Handel's Rodelinda with the San Francisco Opera. At Santa Fe Opera his role debut as Roberto in Vivaldi's Griselda, the work's first major U.S. production by Peter Sellars, drew rave reviews as did the world premiere of Theodore Morrison's Oscar, based on the life of Oscar Wilde of which the New York Times lauded "Mr. Daniels was superb, not only singing but also acting the role with a savvy Wildean mix of arrogance and vulnerability. His sustained tone was beautiful, and his occasional purposeful flirtations with a baritonal register were amusing." Mr. Daniels gave his first performances in the title role of Handel's Orlando at the Bayerische Staatsoper in Munich, and his portrayal as Didymus in Peter Sellars' renowned production of Theodora at the Glyndebourne Festival is available on CD and DVD. Mr. Daniels has also performed opposite Plácido Domingo in the title role in Washington National Opera's production of Handel's Tamerlano, which he also sang at the Bayerische Staatsoper. Further Handelian heroes include the title role inGiulio Cesare at the Metropolitan Opera, Lyric Opera of Chicago, and Glyndebourne Festival, Arsace in Partenope with Vienna's Theater an der Wien and Lyric Opera of Chicago, the title role in Radamisto with Santa Fe Opera, and David in Saul with the Bayerische Staatsoper. Other notable roles include Oberon in Britten'sMidsummer Night's Dream with the Metropolitan Opera, Teatro alla Scala, and Barcelona's Teatre del Liceu (available on DVD), Ottone in Monteverdi's L'incoronazione di Poppea at Los Angeles Opera opposite Susan Graham, Nerone in the same opera at the Bayerische Staatsoper, and Farnace in Mozart's Mitridate at Covent Garden. Equally at home in recital as on the opera stage, David Daniels has won admiration for his performances of extensive concert and art song repertoire, including song literature of the 19th and 20th centuries not usually associated with his voice type. Following his Carnegie Hall recital debut in 2002, the New York Times reported, "There was a sense of occasion in the air, and he didn't disappoint. This was a compelling, even exhilarating recital, covering a wide range of bases in six distinctive sets." Daniels has given recitals at London's Wigmore Hall, New York's Avery Fisher Hall, Alice Tully Hall and Walter Reade Theater at Lincoln Center; at Munich's Prinzregententheater and Vienna's Konzerthaus; in Barcelona's Teatre del Liceu; at the Edinburgh, Tanglewood and Ravinia Festivals; as well as in Ann Arbor, Atlanta, Chicago, Lisbon, Toronto, Vancouver and Washington. His French recital debut was a sold-out performance at the Salle Gaveau in Paris. In concert, Mr. Daniels made his debut with the Berlin Philharmonic in Bach's b minor Mass, conducted by Sir Roger Norrington and has toured Europe with the Basel Chamber Orchestra and mezzo-soprano Magdalena Kožená. Also in Europe, Daniels performed works by Bach and Vivaldi with Fabio Biondi and the Stavanger Symphony Orchestra. Mr. Daniels collaborated with Maestro Labadie in Bach's St. John Passion for his Chicago Symphony Orchestra debut. He has toured extensively with long-time collaborator Harry Bicket and The English Concert, performing in London, Toulouse, Vienna, Munich, Vancouver, San Francisco, Chicago, Los Angeles, and New York City. He made his Philadelphia Orchestra debut under conductor Bernard Labadie, and has sung with the New York Philharmonic and St. Louis and Seattle Symphonies. He has also sung with the San Francisco Symphony with Sir Andrew Davis. An accomplished recording artist with several critically-acclaimed and best-selling solo albums to his credit, David Daniels's latest release was a collection of Bach's Sacred Arias and Cantatas conducted by Harry Bicket with The English Concert. He has also released a recording of Pergolesi's Stabat Mater as well as solo works by the composer in a disc with soprano Dorothea Röschmann and conductor Fabio Biondi. Showing his diverse musical personality, another release featured Berlioz's song cycle Les Nuits d'été, and also included songs by Ravel and Fauré conducted by John Nelson. The New York Times wrote, "The term 'countertenor star' used to be an oxymoron, but David Daniels, for one, has made it a reality. There's no faulting his artistry. He has an unusually round, warm sound. He certainly knows his instrument." Other recordings include A Quiet Thing (with guitarist Craig Ogden), and a recording of Handel's Rinaldo on the Decca label in which he sang the title role opposite Cecilia Bartoli, and which received a Gramophone Editor's Choice Album of the Year award. His debut disc was Handel: Opera Arias conducted by Sir Roger Norrington, followed by Sento Amor, with arias by Mozart, Gluck and Handel, and Serenade, a recital of songs by Beethoven, Gounod, Poulenc, Schubert and others with his frequent piano partner Martin Katz.